That was the question we posed in our advertisement in the Garden and Home magazine (February 2016). A lovely couple in Malanshof contacted us as soon as they saw the advert. They had people slip on a lovely patio outside the main bedroom (set in one of the most beautiful gardens I have seen in a while). They were concerned about how easy it was to slip and fall on the tiles and wanted to make the patio safer. Our clients were happy to learn that we could make the patio floor safer without spoiling it’s appearance. They also quizzed us on various concerns they had about bird droppings and bore hole water affecting the anti-slip coating. 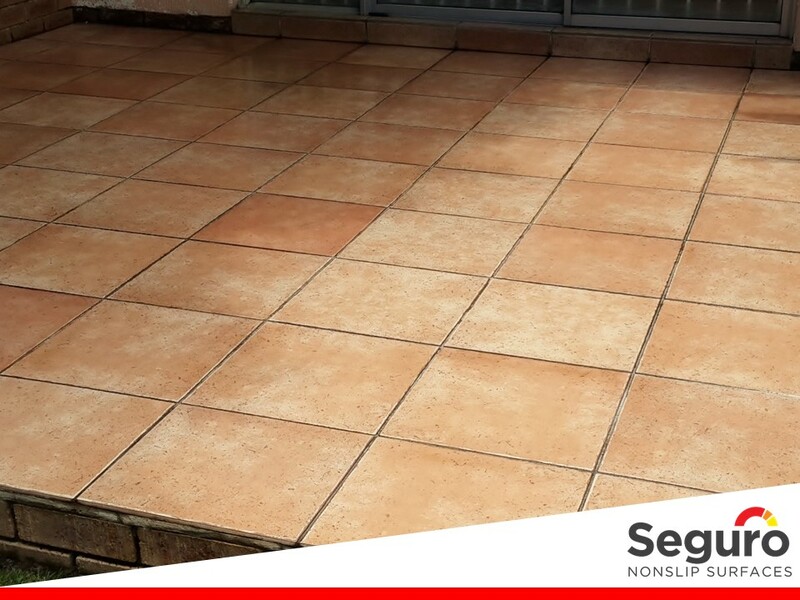 We assured them that there was no cause for concern as long as our special cleaner was used regularly to deep clean and maintain the slip-resistance of the coating.